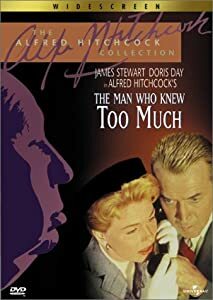 So far we’ve seen: Saboteur, Suspicion, Rear Window, Dial M for Murder, Shadow of a Doubt, Vertigo, North by Northwest, I Confess, Rebecca, The Man Who Knew Too Much (1956 version), To Catch a Thief, The Trouble with Harry, Family Plot, Spellbound, Rope, and Strangers on a Train. My favorite so far… probably Strangers on a Train, though Shadow of a Doubt and Rebecca would be right up there. And we’ve still got lots more to see! If you’re tired of the same old stuff, check these out. They have aged well. I’ve had the opportunity to watch parts of Miyazaki’s classic with multiple groups of middle school students in the last week. And here’s what I’ve noticed. It’s impossible for students to predict anything in this movie. I constantly hear, “I didn’t see that coming.” My 6th graders were confused — is that person a good guy or a bad guy? Part of this is, I think, cultural. Perhaps some of the underlying mythology (nature spirits, magic, etc.) would be old hat to Japanese students, as Western mythology is to my students. But what also strikes me is the paucity of originality in the movies they are used to watching. By which, I mean Disney movies, of course. Plots are completely predictable, characters don’t develop, everyone is either a good guy or a bad guy, and the themes involve “being yourself”. Not only that, but most of it is telegraphed so obviously that students can provide dialog to movies they are seeing for the first time. Kind of sad. I’m thankful for the opportunity to see truly creative, inspiring, thought-provoking stuff. Too bad the North American entertainment complex isn’t producing it. Minecraft and Python — text-based coding!